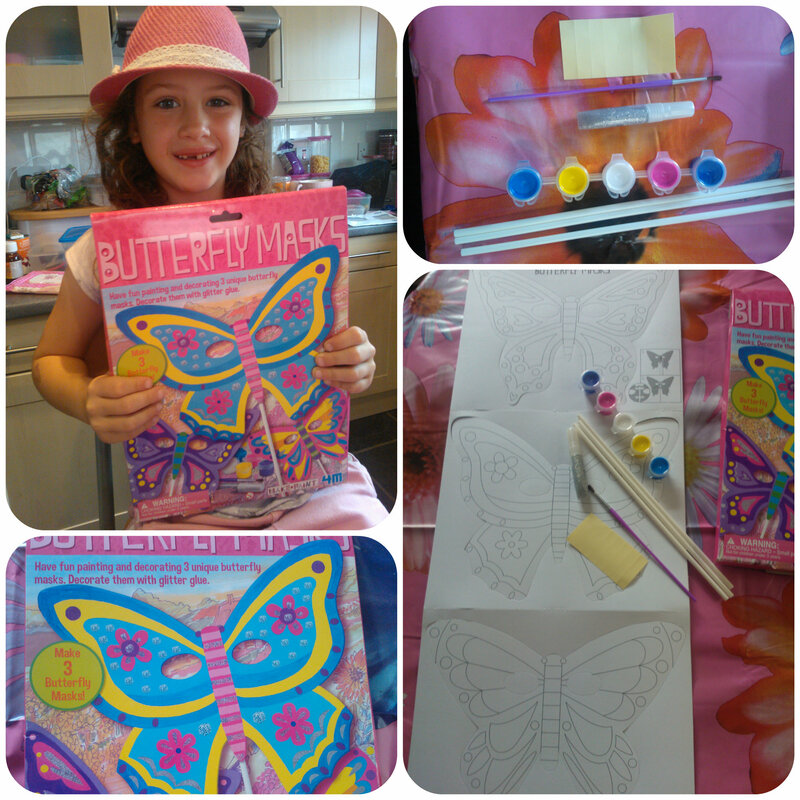 Butterfly Masks from 4M is a craft kit for children where you can make and decorate three different style butterfly masks using paint and glitter glue. Aimed at ages 5+, this is the perfect activity for Miss M to do and something that she would enjoy. The set comes with 3 butterfly mask templates, 5 coloured paint pots, a paint brush, tube of glitter glue, 3 sticks and some sticky strips. 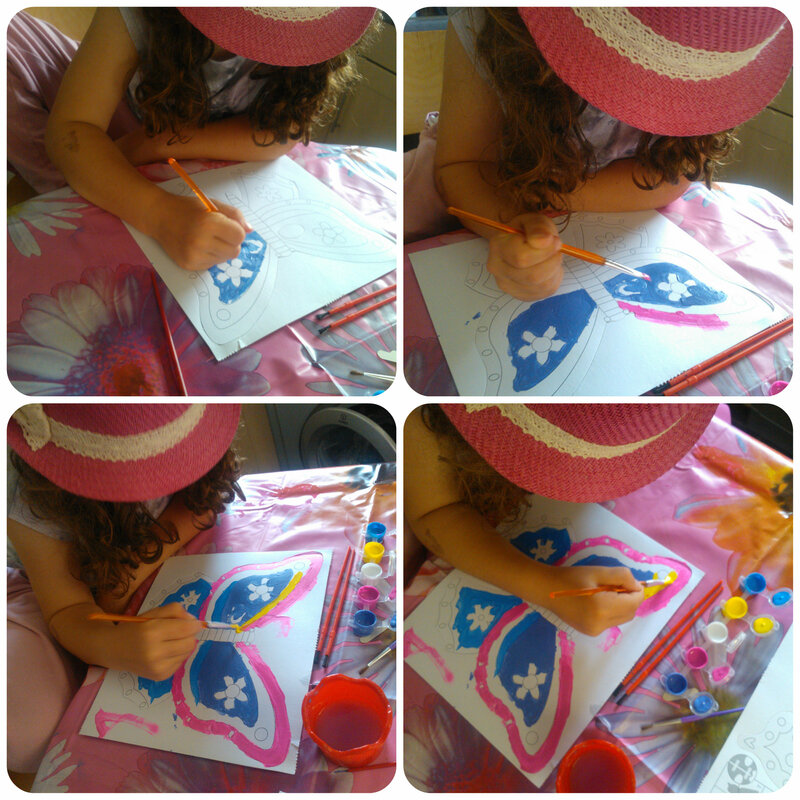 Miss M couldn’t wait to start painting, and carefully used the brush to paint the butterfly masks. 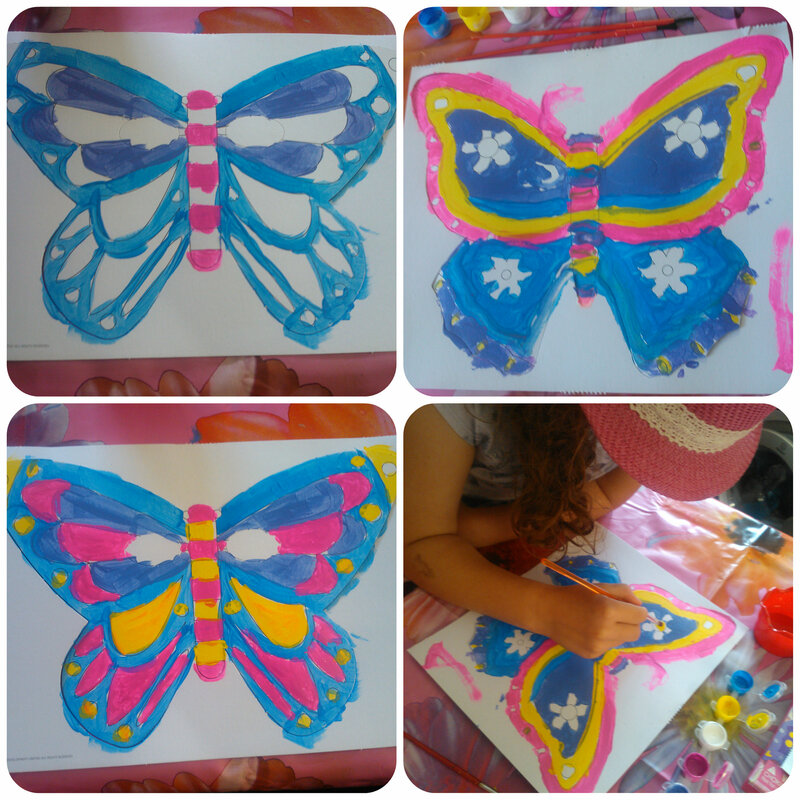 She really enjoyed choosing different colours for each section and happily sat painting away. Once she had finished painting, we let the masks dry and then we could apply the glitter glue to make them sparkle. We then turned them over, put a stick down the centre and secured it with a couple of the sticky strips. When the masks were finished, the children happily played around the garden with them pretending to be butterflies, hiding behind trees. It was very cute watching them and the butterfly masks looked so pretty. I think the Butterfly Mask kit is really good, the finished masks look really effective as well as bright and sparkly. A great craft kit of a good quality that any child will enjoy. 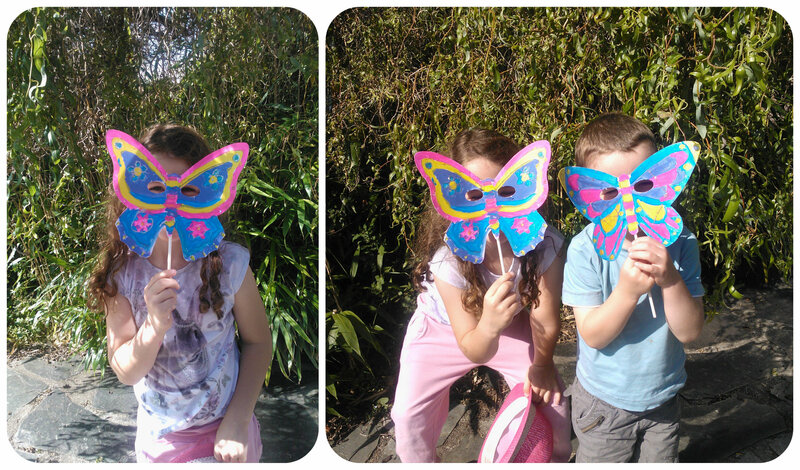 All reviews are my own and my family’s opinions and we received the Butterfly masks in order to write the review. 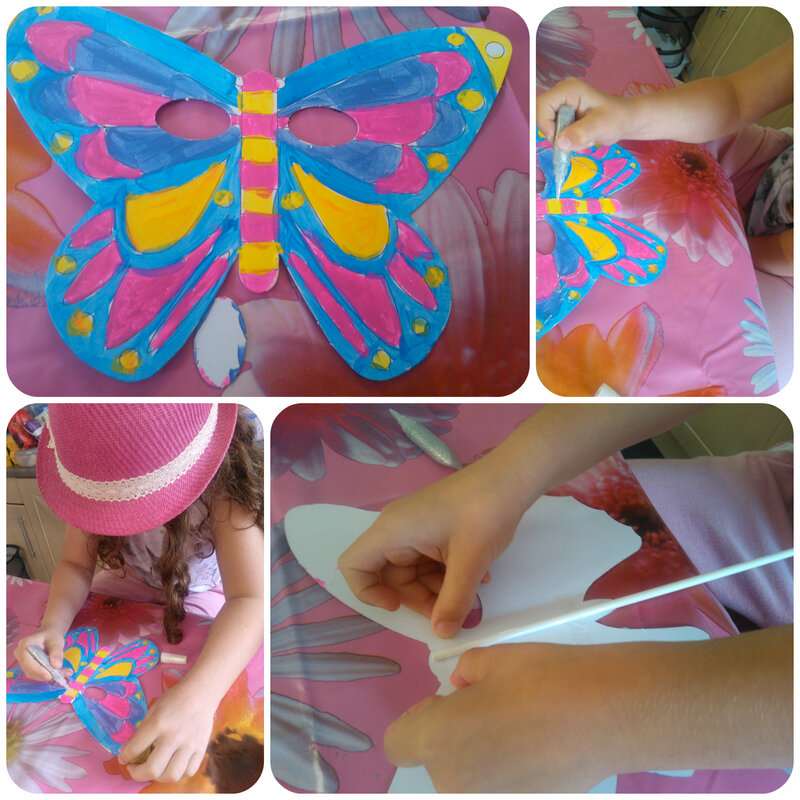 This entry was posted in Reviews and tagged 4M, butterfly, craft, kids, masks by Fiona Martin. Bookmark the permalink. That is so beautiful. Very simple and useful craft for kids esp party too. It looks like Miss M had great fun decorating those masks. A lovely craft set.